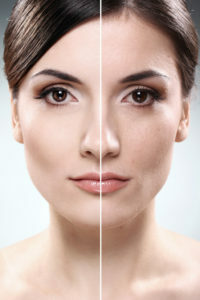 It seems the latest craze among teenage girls at the moment is Teen Toxing – Botox for under 18s. Botox is the trade name for botulinum toxin, which is basically a bacteria that causes muscle paralysis. Used correctly, it smooths out fine lines and wrinkles, and lessens the appearance of much deeper lines. Used properly, I think it is actually a great form of cosmetic enhancement. But Botox for the under 18’s? I can’t believe it’s as common as it is! Nicknamed ‘B’ among schoolgirls hoping to stop the ageing process altogether, and so they don’t look haggard by the age of 25, Botox is commonly administered at Botox parties or purchased online. It all came to light when a daily newspaper reported that a mother was injecting her daughter with Botox on a regular basis (the mother is a trained practitioner and the daughter had her first dose of Botox abroad when she was 15). More than 4,000 teenagers in the UK had Botox in 2016 and it seems this trend is catching on in 2017. There is no proven evidence to suggest that Botox in those so young actually prevents wrinkles forming, and major Botox manufacturers do not recommend its use on those under 18, especially as skin and facial features are still developing. Surely what the real issue here is a growing trend in body dysmorphic in young girls? And the lack of regulation when it comes to who is allowed to administer Botox, to whom and who monitors this? With girls that young, surely the best form of beauty advice a mother can give is to use a daily moisturiser with a decent sunscreen? After all, we all know that 90% of skin ageing comes from sun damage. Is the world’s obsession with self-improvement getting out of control?